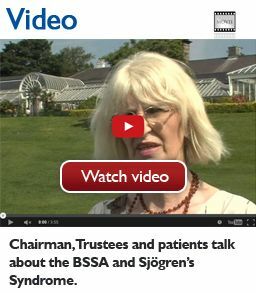 The British Sjögren's Syndrome Association (BSSA) was founded in 1986, as a registered charity, to raise awareness of the disease and support research into its cause and treatment. A self-help organisation with more than 2300 members, the BSSA is dedicated to providing mutual support and information to individuals affected by this disabling disease. We have regional support groups throughout the UK whose members include sufferers and supporters who work together in helping one another cope with the day-to-day challenges of this debilitating and distressing condition. The BSSA also has a helpline, we distribute a variety of literature including an informative quarterly newsletter and we award an annual research grant. There is currently no cure for Sjögren's Syndrome and the cause is still unknown. Even if you are not a member of the BSSA, you are welcome to make an initial call to our members’ helpline. 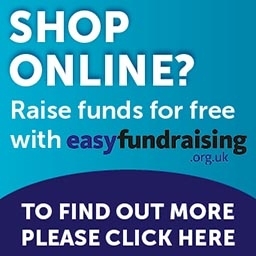 If you would like to continue to use it further, we do ask that you become a member, as without this vital financial contribution, this helpline would not be able to operate. Office Hours: 9am - 2pm, Mon to Thurs (answer phone facility out of hours). If you need to chat to a friendly, listening ear about Sjögren’s Syndrome affecting your life, please call our members’ helpline. The helpline is available between 9.30am – 4.00pm, Monday to Wednesday and 9.30am - 8pm Thursday and Friday. Remember, if your call is not answered immediately, please be patient as a voicemail facility is available. Please leave your name and telephone number and your call will be returned. Please note, the helpline is for advice only, for all other enquiries please call the BSSA office on 0121 478 0222.
mainly in the area of professional regulation. Dr Elizabeth Price is a BSSA Trustee and the President of the BSSA Medical council. She is a consultant rheumatologist who has a specialist interest in Sjögren’s Syndrome and runs a specialist Sjögren’s clinic at the Great Western Hospital in Swindon. Her interest in Sjögren’s dates from her Research Fellowship at The Kennedy Institute in London where she completed an MD thesis under the supervision of Prof Venables. She currently focuses on extraglandular manifestations of the disease and clinical research into SS and is a member of the steering committee for the UK Primary Sjögren's Syndrome registry. She writes articles for the BSSA newsletter, supports the associations Helpline ladies and assists in the awarding of BSSA research grants into SS. Previously she has organized the programme for the BSSA medical meeting. Professor Ng is a Professor of Rheumatology at Newcastle University and the chief investigator of the United Kingdom Primary Sjögren’s Syndrome Registry (UKPSSR, www.sjogrensregistry.org). He qualified from Cambridge University and completed his postgraduate clinical training and PhD study in London. Prof. Ng’s research programme focuses on understanding the relationships between biological changes in primary Sjögren’s syndrome and clinical manifestations in particularly fatigue and lymphoma development. He is a co-director of the Newcastle Biomedicine Experimental Arthritis Treatment Centre and deputy director of the Clinical Research Facilities at Royal Victoria Infirmary. Academic Lead for Oral Medicine - Institute of Dentistry, Barts and The London School of Medicine and Dentistry. Dr Anwar R Tappuni is a Reader in Oral Medicine at Queen Mary University of London/ Honorary Consultant in Oral Medicine at Barts Health NHS Trust. She runs a specialist clinic at the Dental Institute, Royal London Hospital with her rheumatology consultant colleagues, providing a multi-professional clinical service for Sjögren’s syndrome patients. Her current research projects are on the management of dental disease in dry mouth patients, and on the effect of mucosal dryness on function such as smell and taste. Liz Faulkner is a patient representative for the BSSA board of trustees. Diagnosed with Primary Sjogrens Syndrome in 2010. A patient representative for the European Medicines Agency in 2014. Also participated in drugs trials including TRACTISS with the Great Western Hospital in Swindon. Dr Francesca Barone M.D., Ph.D.
Eleanor Bron is a writer and actress. She was extremely fortunate as a child, in that she was able to attend a grammar school and to go on to enjoy a university education at a time when this was all paid for by the state. She read Modern Languages at Newnham College and it was at Cambridge that she met and worked with Peter Cook, John Bird and John Fortune. She started her career working with them during the ‘satire boom’ of the 1960’s. After two years with Peter Cook’s Establishment cabaret in London and New York, she returned to England and continued to work both in comedy and drama, on radio and television, theatre and film. Her roles in the theatre include Hedda Gabler, Jean Brodie, Cleopatra, Jocasta, Yelena in Uncle Vanya, and Amanda in Private Lives. On television, as well as writing (with John Fortune) and performing in their comedy series, she has appeared in Rumpole of the Bailey, Absolutely Fabulous, Casualty 1909, Midsomer Murders and Foyle’s War and in many dramas. Among films in which she has appeared, are Help; Bedazzled; Women In Love, The Heart of Me,Wimbledon and the House of Mirth. She greatly enjoys recording audio-books, including her own novel. Other writing includes several books of memoir and some poems and song cycles. She has two older brothers, Gerry, a record producer, and Anthony, a professor of Ophthalmology.